A quick view of the most influential metrics in Palmetto. Palmetto is a waterfront community located on the Gulf Coast of Florida, midway between Tampa / St. Petersburg to the north and Sarasota to the south. The City boundaries are comprised of approximately seven square miles with a population of just over 14,000 residents. Palmetto has seen dramatic growth and expansion of several condominium developments, many with dramatic water views. 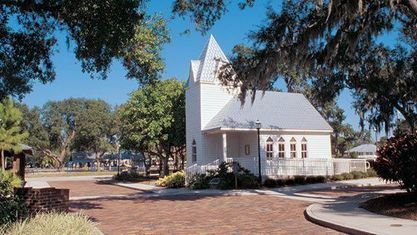 The City continues to balance growth and expansion, while maintaining the “Old Florida” charm that residents and visitors have come to love. Water brought the first settlers here in the middle 1800s and soon, yachtsmen and shippers discovered the beauty and allure of the mile-wide Manatee River. Fertile ground and a suitable climate attracted hearty young couples willing to accept the challenge of the future and the building of a community. The City of Palmetto dates its beginning to the arrival of Samuel Sparks Lamb in 1868. He is called the “Father of Palmetto” and gave the town its name after his home state, South Carolina, the “Palmetto State”. 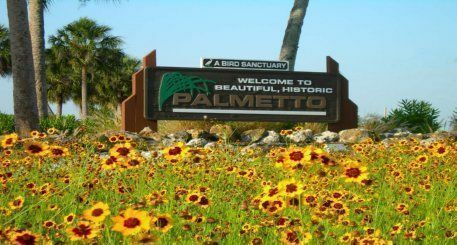 In 1897, Florida’s governor signed the charter declaring Palmetto a City in the Sunshine State. When the railroad came to Palmetto in 1902, the center of activity for the town shifted from the waterfront closer to the railroad depot, which was located on 10th Street. The railroad allowed contractors to have a steady supply of bricks on hand, and buildings became more stable and less prone to fire hazards. Many new brick buildings were built in this vicinity to replace and attract new businesses on the waterfront. Lamb envisioned his property divided into a village. He surveyed and platted it. Over the years, he would donate land out of this original plat for a cemetery, three churches, a public library, the Woman’s Club, and a park. It was also due to his foresight and planning that Old Main Street is so wide. Lamb intended to have a fine avenue stretching all the way between the two entrances to Palmetto, the wharf on the river, and the Seaboard Air Line Depot. Palmetto and the region soon earned a hospitable reputation, noted for its abundant fruit and vegetable production and some of the nation's most familiar consumer brands. A nexus of modern federal and state highways, railroads, international airports, and seaports puts the City of Palmetto in the very heart of Florida's most desirable place to be. Newest listings in the Palmetto area. 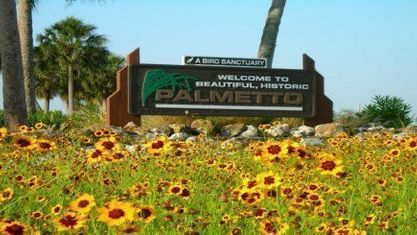 Check out the latest demographic information available for Palmetto. Get to know Palmetto better with our featured images and videos. Browse through the top rated businesses in the most popular categories Palmetto has to offer.